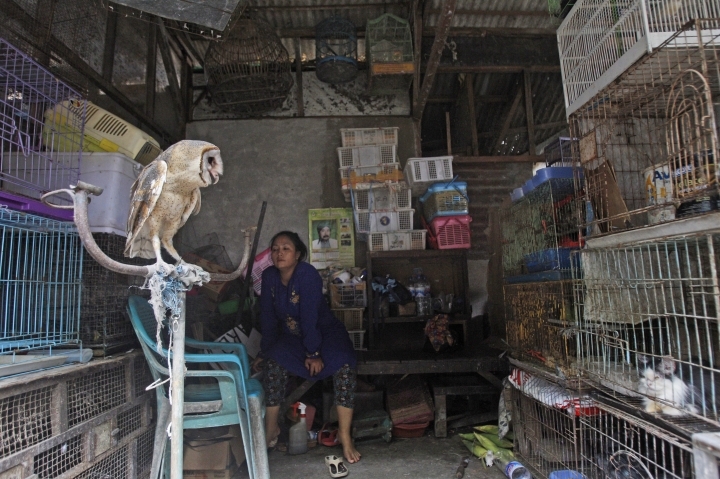 JAKARTA, Indonesia — A wildlife trade monitoring group has called on Indonesia to take strong action against traders of endangered birds who are driving several species toward extinction. Traffic, a U.K.-based group, said Thursday that its latest survey recorded nearly 23,000 birds in five markets in three cities in eastern and central Java. It said 28 of the 241 species identified were fully protected under Indonesian law. They include seven Black-winged Mynas, a critically endangered species found only in Java and Bali. Serene Chng, a program director for the group, said the scale of the illegal trade is "staggering." "Almost all of the birds were native to Indonesia, 15 percent of them found nowhere else on Earth," she said. "The outlook for some of Indonesia's bird populations is very bleak." The research was carried out in Surabaya, Yogyakarta and Malang. 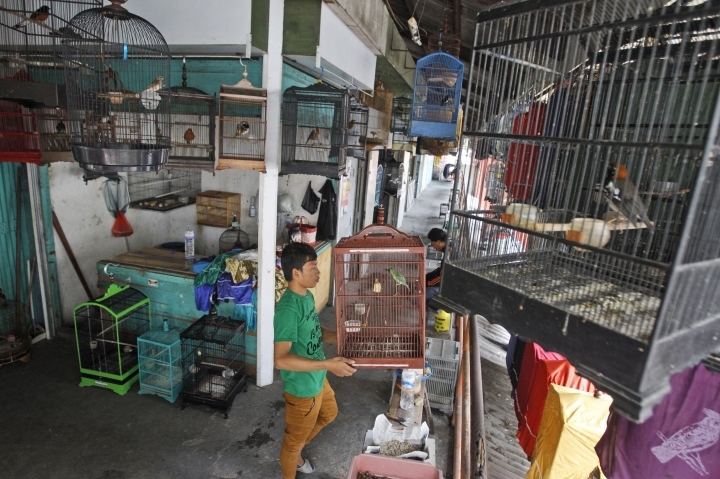 The capital Jakarta is already known as a hotspot for the illegal bird trade with three markets including one in the east of the city that is country's biggest. Elizabeth John, a spokeswoman for Traffic, said the number of birds was based on an actual count of visible birds in each shop at the markets conducted over three days. Under Indonesia's conservation laws, trade in protected wildlife carries a maximum penalty of five years in prison and fines of 100 million rupiah ($7,700). Traffic said a similar survey in Jakarta in 2014 documented about 19,000 birds for sale over a three-day period. Indonesia, the world largest archipelago with 17,000 islands, is home to more than 130 threatened bird species.